DAVID LE/Staff photo. 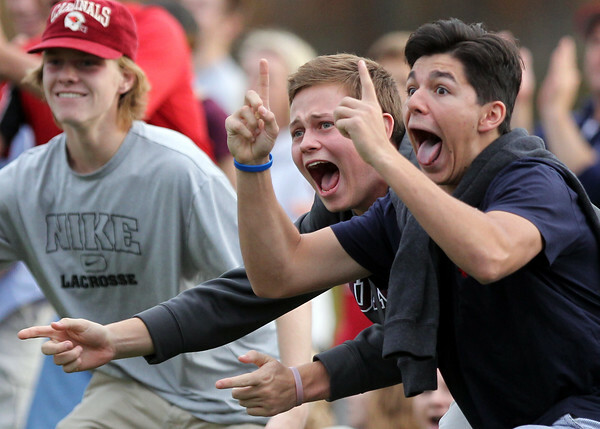 Masco seniors Cam Zavaski, left, and Dylan Toumayan, scream in celebration after sophomore Michael Budrewicz scored the Chieftans' second second half goal against Danvers. 11/6/15.